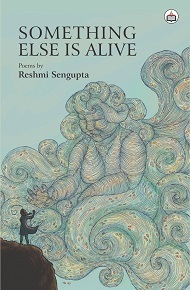 Reshmi Sengupta grew up in Kolkata and finished her schooling from ModernHigh School for Girls. She went on to study English Literature at PresidencyCollege. Later, she got her master’s degree in English Literature from Jadavpur University. Soon thereafter, she left for the United States and spent close to sevenyears in Boston, Massachusetts. There, she studied Art History at UMass Boston.Back in India, she has been working as a teacher and facilitator of theInternational Baccalaureate Diploma Program.She lives with her husband, daughter and two cats in Delhi. This is her first book of poems.